Budco Security Seals is your source for in-stock, ready to ship plastic truck seals. Our plastic trailer seals provide a high level of indicative security protection for your high-value cargo moving over the road, rail or water. Plastic truck seals protect cargo in over-the-road transportation trailers, railcars, tankers or other types of transit containers with a strong bursting strength and consecutive numbering. We can fully customize your plastic truck seals with your company name and/or consecutive numbering as well as bar coding. 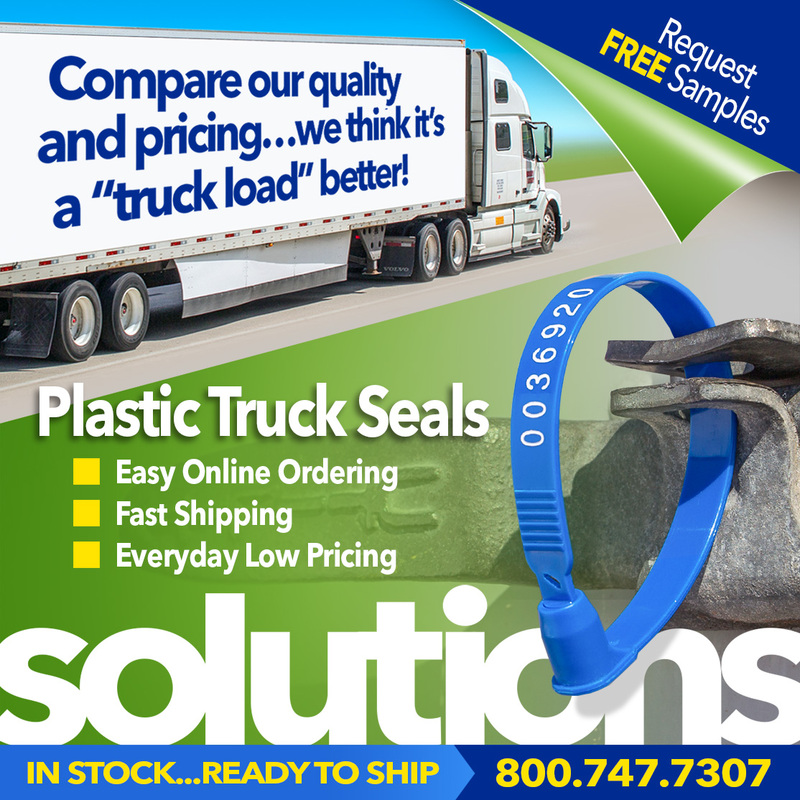 Your order for stock plastic truck seals will ship in 24 hours or less. Budco Security Seals also offers adjustable length plastic seals, heavy duty cable seals and high security bolt seals with innovative fraud protection features. Looking for Tug Tight plastic security seals or SnapTracker bolt security seals? BudcoSecuritySeals.com com stocks them, and hundreds of other security seals products, and can ship directly to you today. Click here to order. To speak to BudcoSecuritySeals.com’s experts about all of your safety and seal products needs, call us at 800-747-7307. Our offices are open Monday-Friday, 8 a.m. – 5 p.m., CST. Local customers may also call 918-317-0066. Prefer email? Click here. Our trained security seals’ staff can quickly address all of your questions regarding our many in-stock plastic truck seals and transit security products, and can walk you through our wide variety of heavy-duty cargo seals right for any job. Click to view our plastic truck seals and security seals.